Amazing view of the marina! This was my second time with HVP's. I had wonderful experiences both times. Great place and location. Prompt responses to our emails. Very nice apartment with an excellent view. Well located. 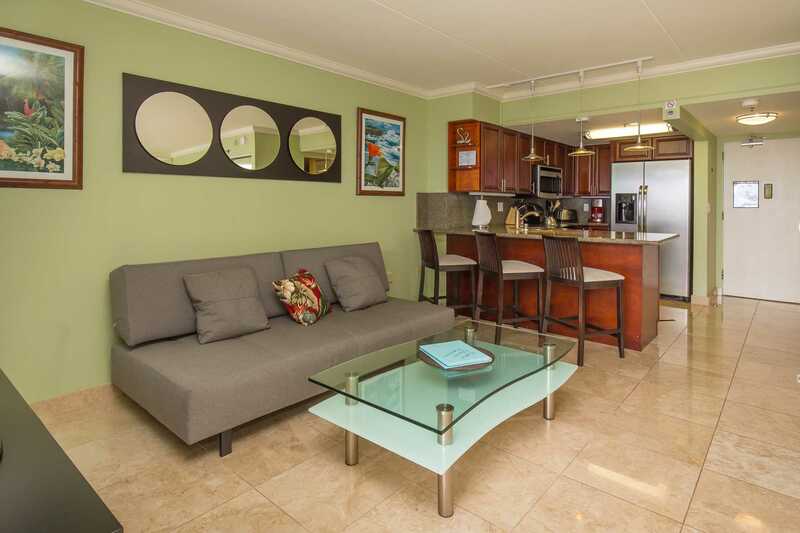 Walking distance to shops, restaurants and Waikiki beach. I would recommended for sure!" 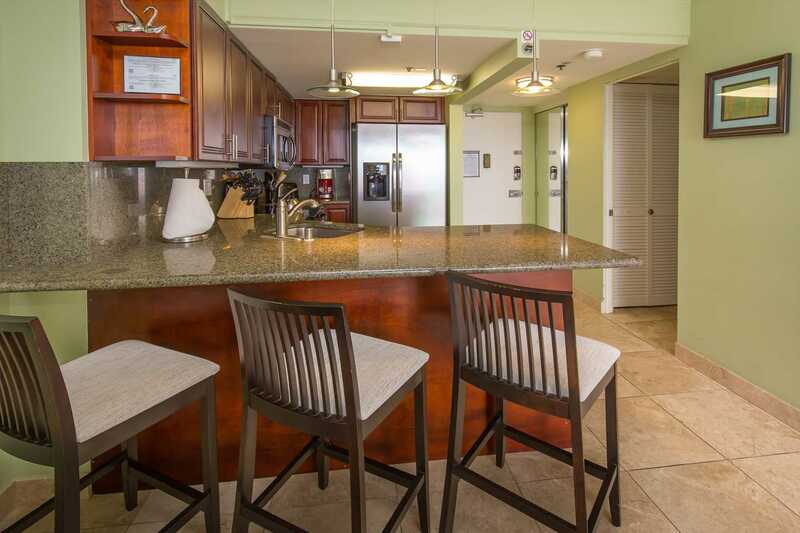 Condo was as pictured, very comfortable, great location great access to public transportation. Adequately stocked for cooking meals if you desire. The condo building is kept very clean. The only minor issues were the a/c was noisy, so if used at night might impact a light sleeper, also the shower wss very noisy. I would have appreciated a lock box or small safe in order to store passports etc. Overall, a really comfortable enjoyable stay. Instructions for keyless entry and departure straightforward. Would live to return. Loved this space. The space is just like the photos. Check in is so easy. The view is amazing and its close enough to everything in Waikiki. Overall a very good option for visiting Waikiki. The kitchen could be better equipped and didn't care for bathroom sink but all else positive. Great view, great location. The building is well maintained. Nice pools. The restaurant on the property, Cinnamons is good and convenient . The Modern next door offers dining options which we enjoyed. 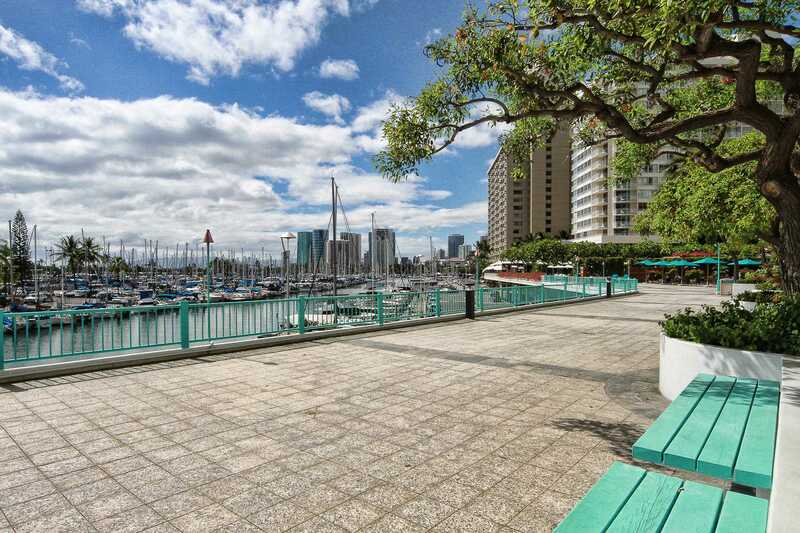 Walkable to Ala Moana park and mall. 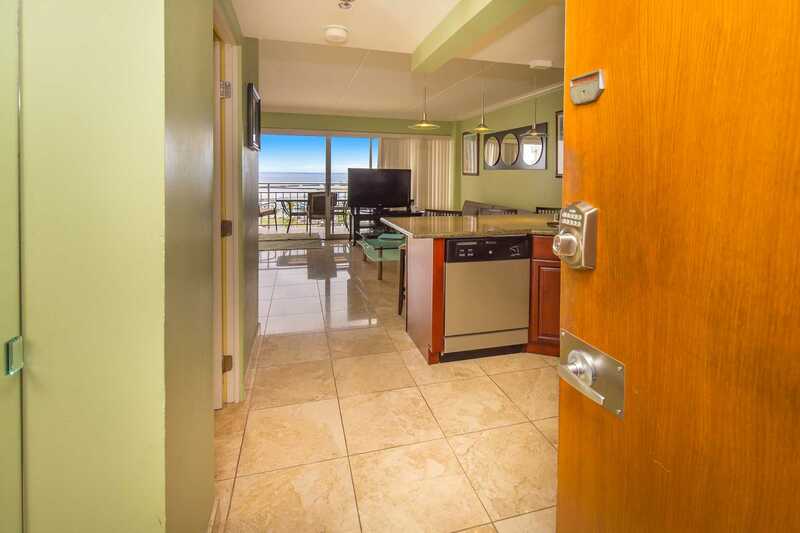 The condo had everything needed to enjoy Waikiki. Very modern and clean unit exactly as shown on the pictures. Huge balcony with an amazing view of the ocean and marina. Breathtaking sunset views every evening. Lots of dishes, pots and pans if not planning to eat out. Feels like vacationing in home away from home. Thank you HVP. We will be back soon! 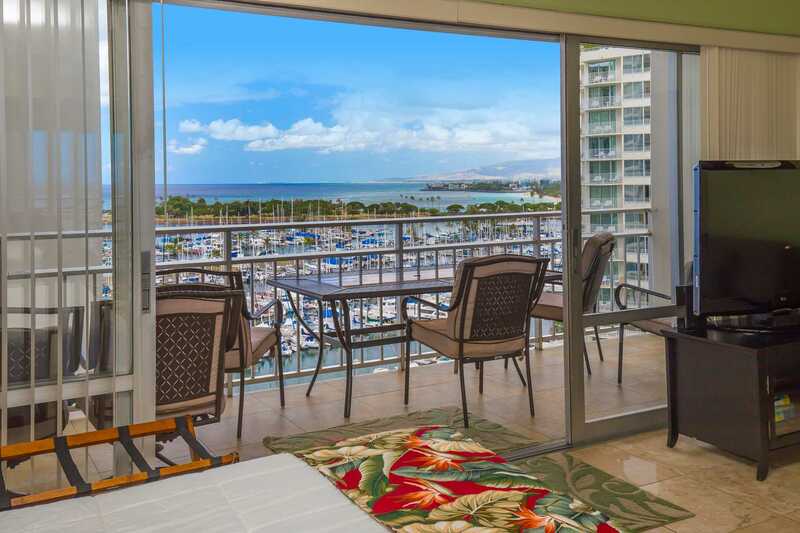 Spectacular views from the Lanai! HVP were great hosts and very responsive - Keypad locks make for an easy check-in! Stunning view, fully stocked home, super comfy bed, this place has it all at a great price! Property was neat and clean. It was also located very central to activities. The down side is that it is on the small size. 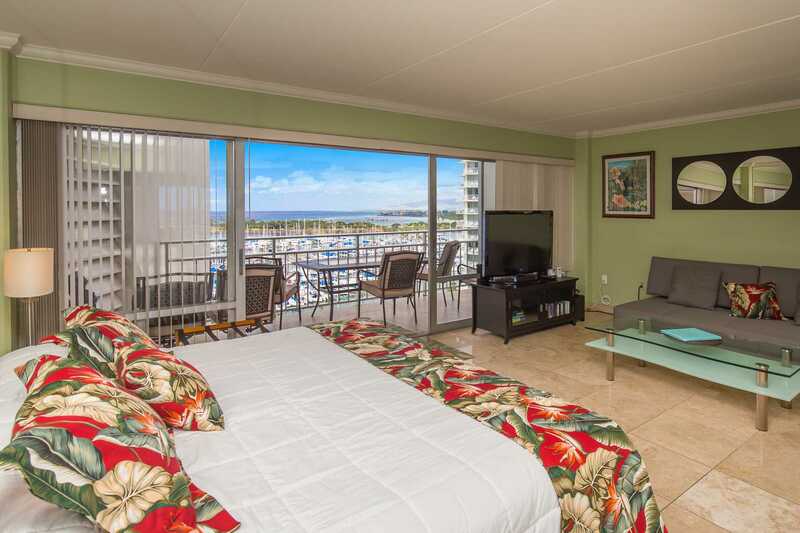 Chris 9/7/17	Great location in the heart of Waikiki beach! Easy access to shopping, great food, fun bars and most importantly the beach. Outside of the building could use a paint job but the overal presentation of the condo was great. 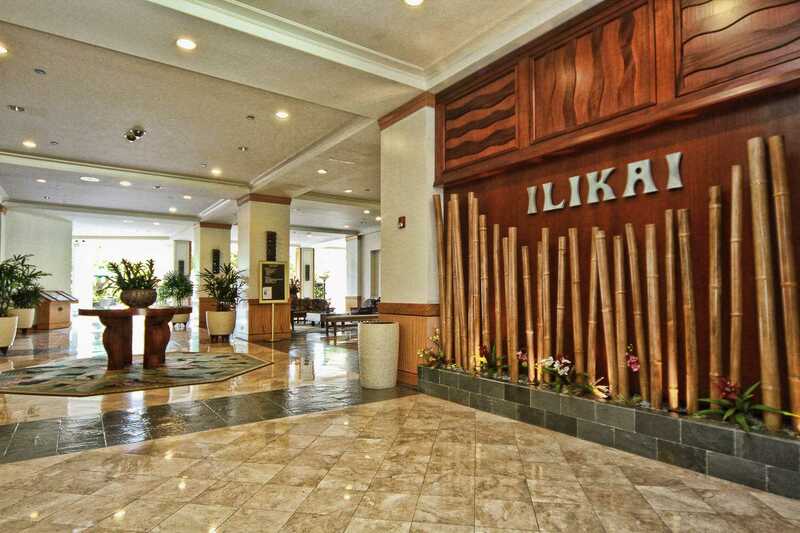 I've stayed at the Ilikai numerous times in many different units. 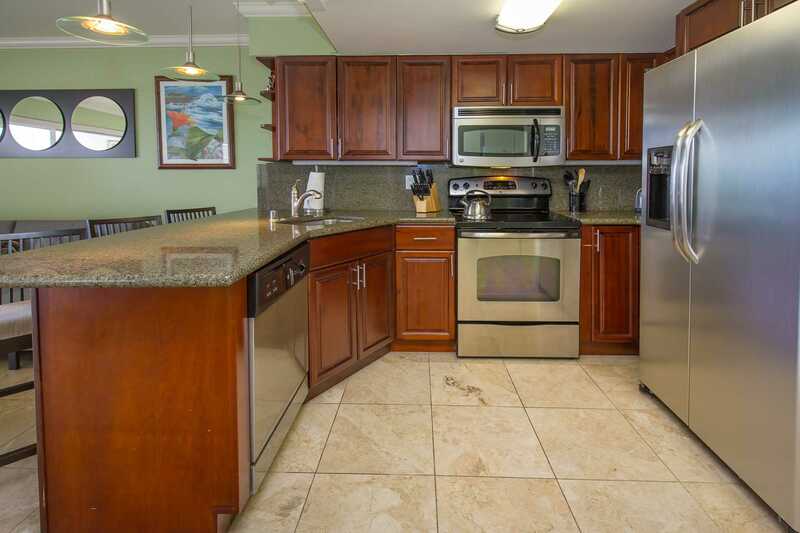 Unit 1102 had a nice, updated kitchen with a dishwasher, which only about 10% of Ilikai units have, which was a plus. The king bed and sleeper sofa were both comfortable and the view from the balcony was quite pleasant. The only downside was that the AC window unit was a bit loud compared with some other units that have newer wall split AC units. 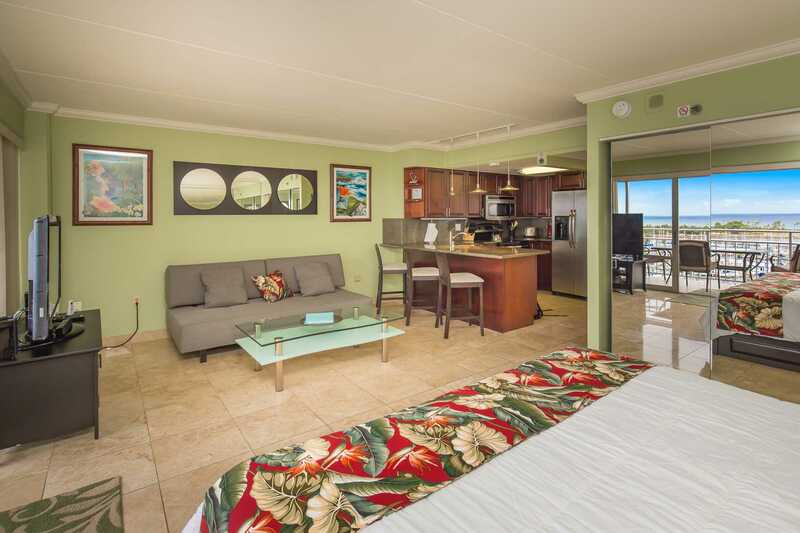 We stayed for several nights in condo 1102 at Ilikai. The check-in and check-out instructions were very clear and simple to follow. The registration process was smooth and without any hitches. 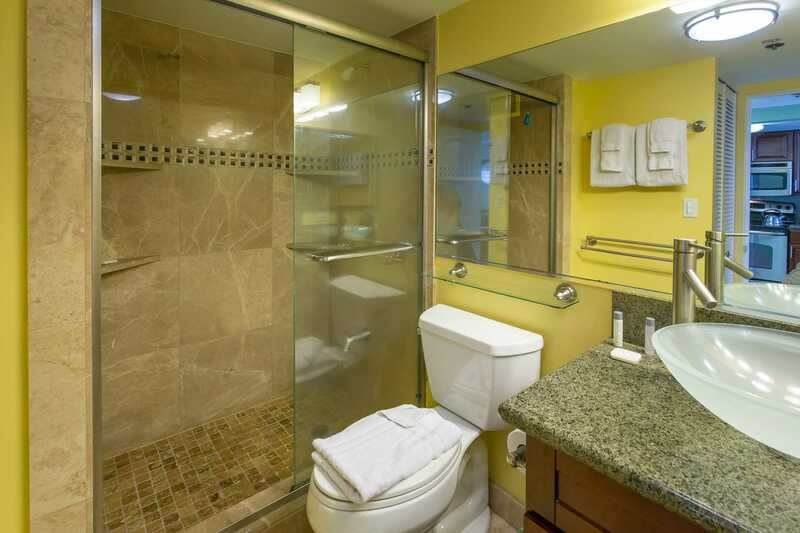 The condo was well maintained with all the necessary amenities. 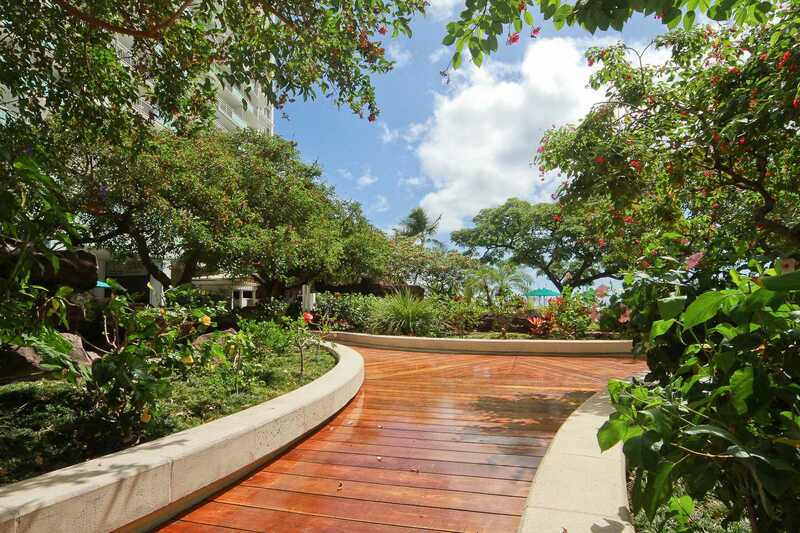 The location was perfect and was closeby to the lagoon at Hilton, the ocean, Magic Island, and Ala Moana Shopping Center. 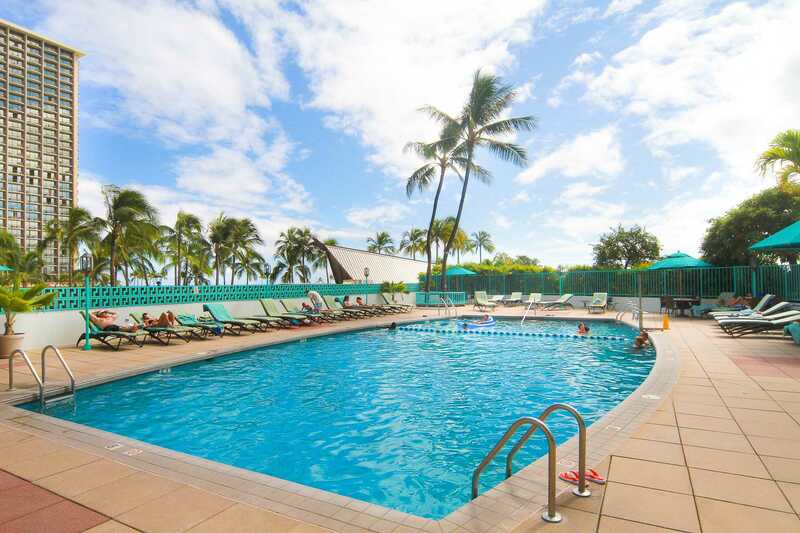 The pool at Ilikai was perfect for both adults and kids to use and there was always someone on hand. The lanai had gorgeous views of the ocean. The condo also had spare chairs and a float to use, which proved to be very handy when heading out to relax by the ocean. Overall, we had a fantastic time and we'll be back again! What a fantastic stay at this property. We were in awe the moment we walked into the room. Granite counter tops, tile floor, and views to die for. What I really enjoyed was the privacy. Wonderful experience. I'll be using this company for future bookings. The description was spot-on of the room. The price was fantastic. You've earned my business. We were very pleased with our stay. Everything was in line with our expectations. We have already recommended it to friends who want to go to Honolulu. 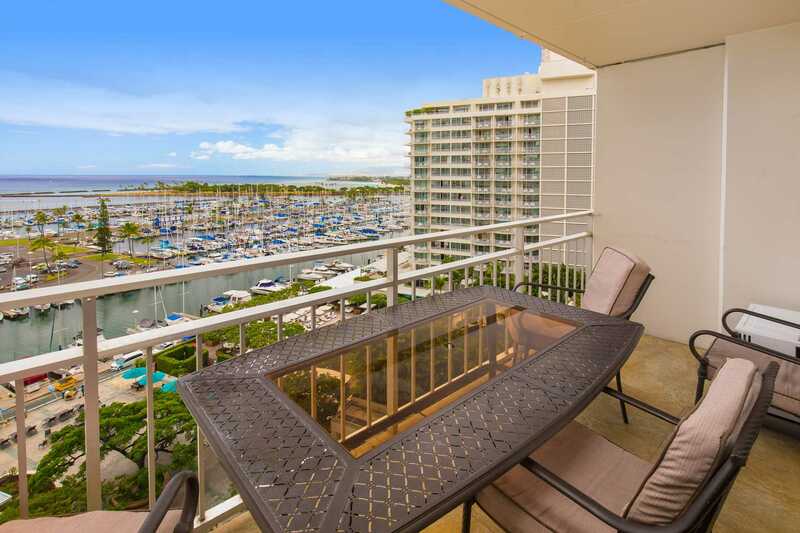 Ilikai #1102 is a very nicely updated condo with a great view. We enjoyed our stay very much. There were a few minor maintenance issues that were resolved very quickly by condo management. We hope that management will consider better appointing the kitchen for cooking. One of the nonstick pans is chipped, and we were surprised no spices were there, even salt (which we had to purchase for nearly $6.00 from the Ilikai's market). Adding a flat spatula to the utensil drawer would help with flipping pancakes, too! These small additions would make this an ideal place for us to stay next year when we return! Thank you for the feedback, we are glad you enjoyed 1102 remodeled condo!. We do stock pots and pans in the kitchen and spatulas. Unfortunately sometimes they get removed from the condos by guests so if anything is missing like a spatula, please just call us immediately and we can add a replace a kitchen item very quickly. We do have staff working in our buildings daily. Our Office is across the street and there are much less expensive stores in the surrounding area. We do not provide spices but if someone leaves salt and pepper in the condos we leave it for the next guest. Also the market close by, Walmart and Longs Drugs do have the basics you need at reasonable prices. Very clean and modern condo. 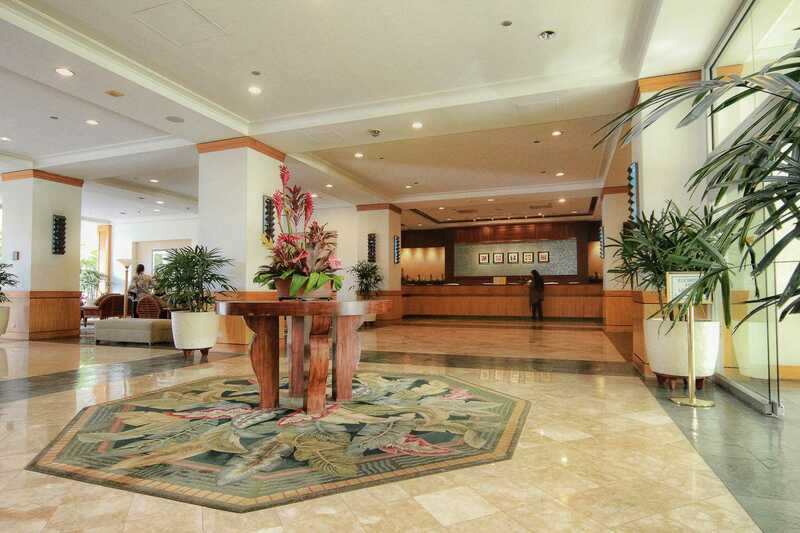 Within easy walking distance to both Waikiki and Ala Moana. Recommend foodshopping at Foodland on Piikoi street. My husband and I are from Maui we vacationed on Oahu for 4 nights after we got back from our Las Vegas vacation. The suite we stayed in was perfect for the two of us. The view from the Lanai was breath taking I wish I had that view everyday. We enjoyed the firework show at the lagoon on Friday night. 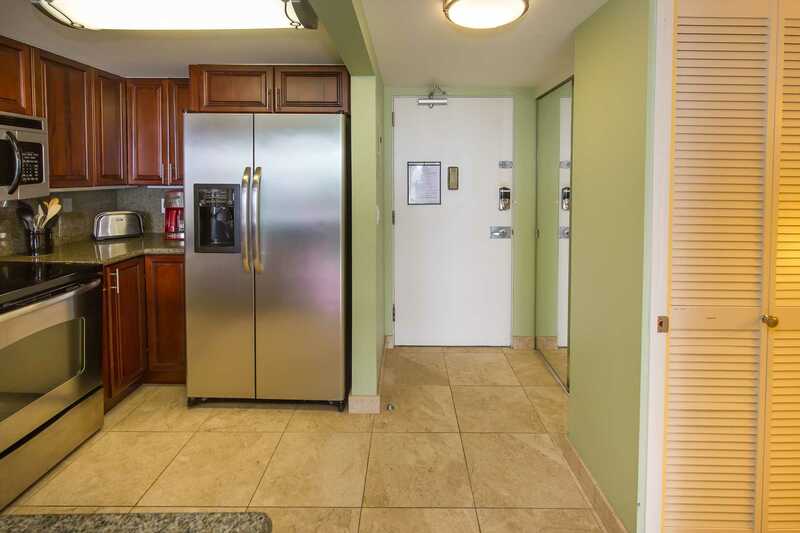 Full kitchen and they have a laundry room right down the hall. The price you pay per night is very reasonable compared to paying $200+ a night at any other hotel. The only con I have for this suite is the screaching shower haha. 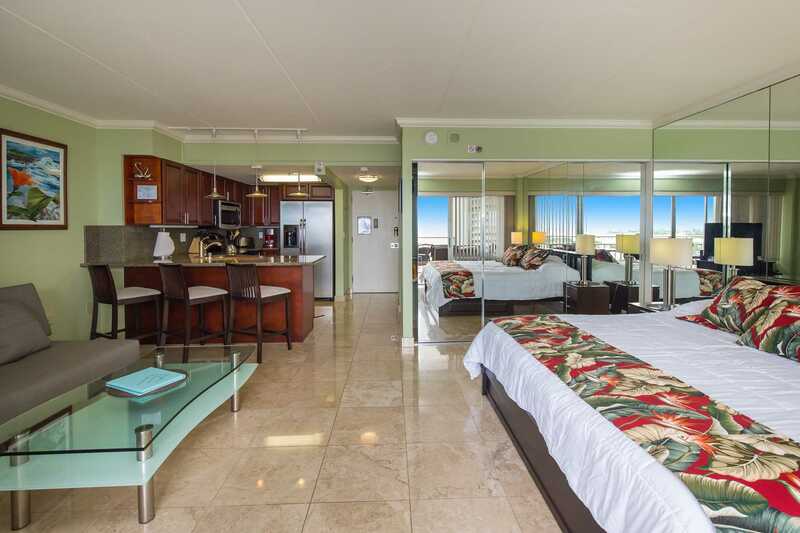 We will definitely stay in this suite again on our next trip :) Mahalo HVP! Excellent place to stay as far as location. Love the idea no key to the room just key pad. I stay in hotels every week for business and this was very comfortable. Great shower pressure and bed comfort. Certainly nice to have a kitchen. Great location, fantastic view, close to almost everything. Not noisy at all after 9:00 pm. The A/c is a bit loud, but we managed to sleep through it. This is common issue with window A/C. Split A/C will be better. The bed is very comfortable, the unit is very clean and well equipped. Only complaint from kids is limited TV channels and no HD. There's a DVD player, but no DVDs. But we don't come to Hawaii for TV shows anyway. Not a big deal. The manager is very easy to work with and helpful as well. Overall, we are very satisfied with the stay and highly recommend the nice unit! The view from the lanai was spectacular. Saw whales, cruise ships,planes ,military vessels, canoes, sail boats. Bring your binoculars! Unit has a nice upgraded kitchen and bathroom, king size bed, big screen tv, plenty of closet space. Bus service is in front. 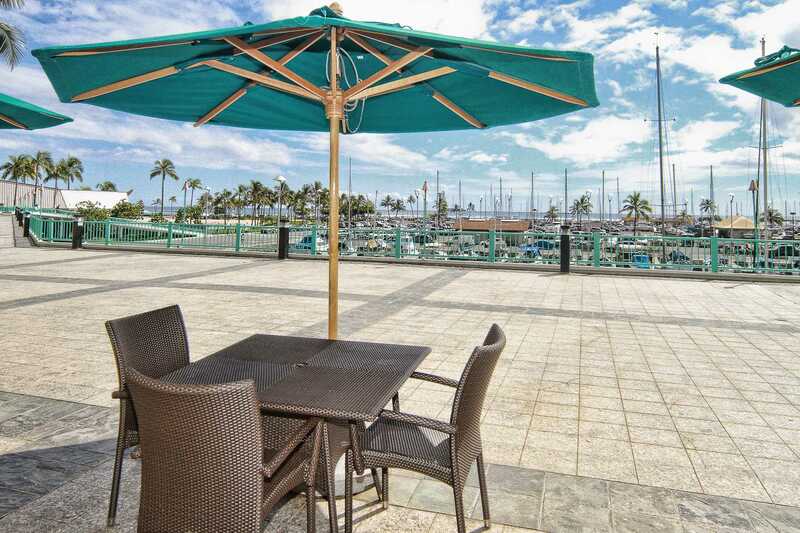 Location is close to everything - Ala Moana Shopping Center. Walmart and markets for groceries, beaches & restaurants. The property was gorgeous. Immaculate condition, spacious, gorgeous views, and comfortable. It was easy walking distance down to the beach. The room had several beach towels, chairs, boogie boards, straw mats, and an umbrella to make our time at the beach more comfortable. This unit was highly upgraded but still had the Hawaiian charm. Plenty of kitchen space. We did do dishes since they only had 3 coffee mugs but the dishes they had were very nice. Plenty of extra towels as well and the closet had a great balance of cabinets and hanging space. Plus the Illikai itself has a fabulous restaurant, Sarentos and a car rental right downstairs and just outside was an ABC store. We chose to walk everywhere, it was an easy & beautiful walk to the main shopping area. We could talk the side walk or walk the beach. My boyfriend and I will defiantly be back next year and will request the same unit. My wife and i just celebrated our 25th wedding anniversary with a 9 day stay at the Illikai in condo #1102. 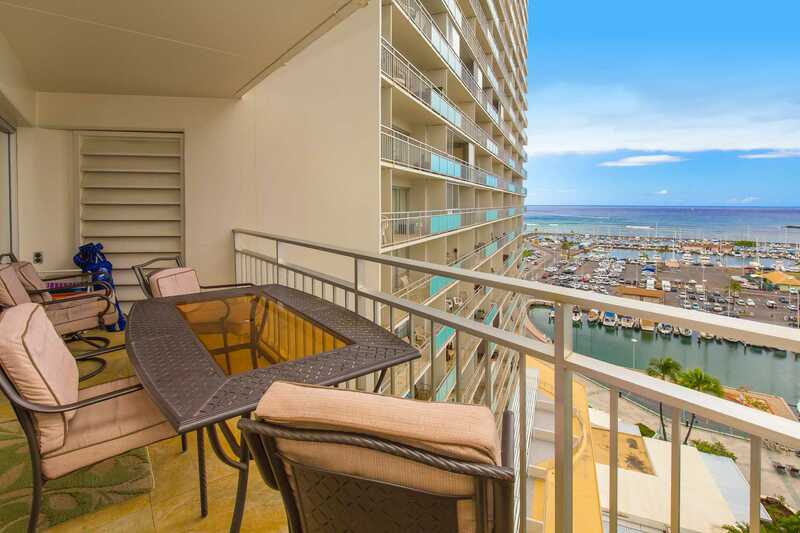 The Ilikai was the perfect location for us, located on the west end of Waikiki away from all the noise and heavy traffic, but still easy walking distance to shopping and restaurants. The condo was very comfortable and well furnished. The kitchen has everything you need to preapare meals if desired. I prepared all of our breakfasts each morning and enjoyed them on the lanai over looking the marina. We really liked the easy access to the beach via the ramp leading to the Hilton lagoon. The King bed was very comfortable, so nice waking up to the ocean view. There was plenty of storage for all of our clothing. The unit has a digital lock on the door, nice not having to keep track of a key. 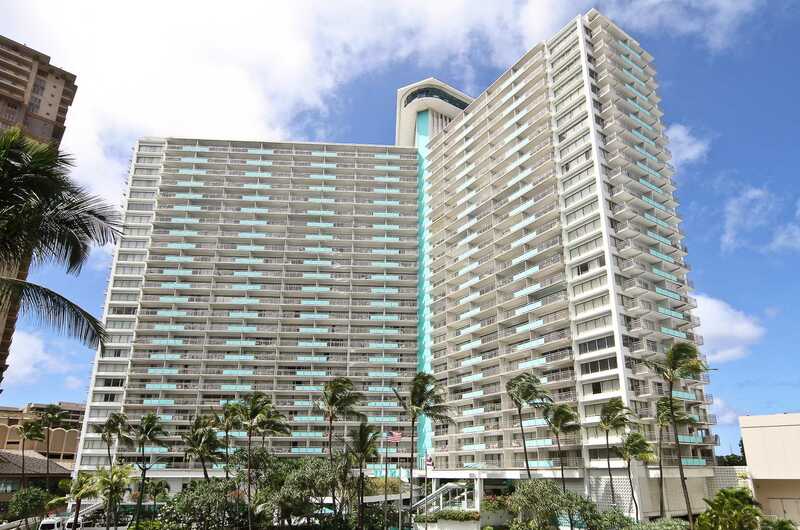 Even though this is an older iconic property, it is very well maintained and to me it's a bargin for being ocean front in Waikiki. We both loved our stay ! We had four fantastic days at this beautiful condo and would stay there again. The view of the marina sunsets off of the lanai were gorgeous and we enjoyed breakfast there in the mornings. 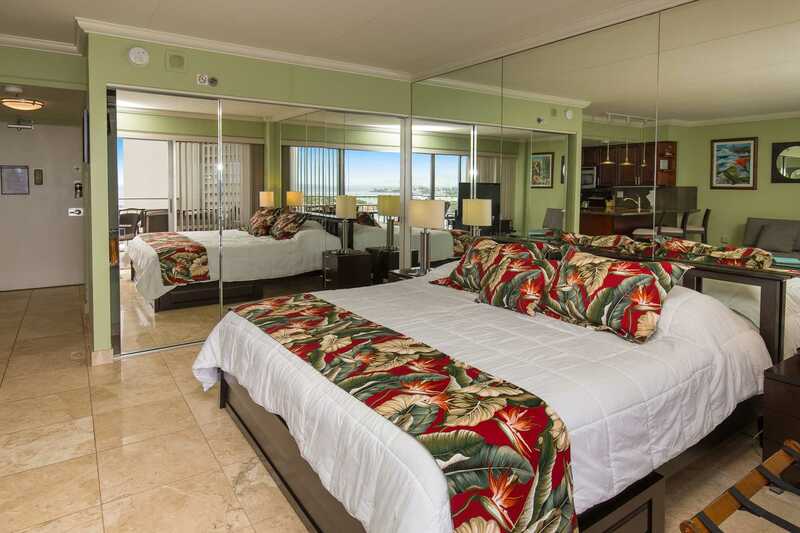 It was nicely furnished with all necessities and the king bed was very comfortable. Best of all, the noise level was very minimal--great sound-proofing! There were just a few minor annoyances--bathroom sink was slow to drain and shower handle was a little loose. The owner might consider moving the TV to the living room corner so that the marina view isn't obstructed--as I said, just minor things. We found it a big plus that the trolley lines and buses had stops right in front of the Ilikai, so very easy to get around. We also loved Cinnamon's which is located in the hotel itself (great food!) and the Hilton Friday night fireworks next door. 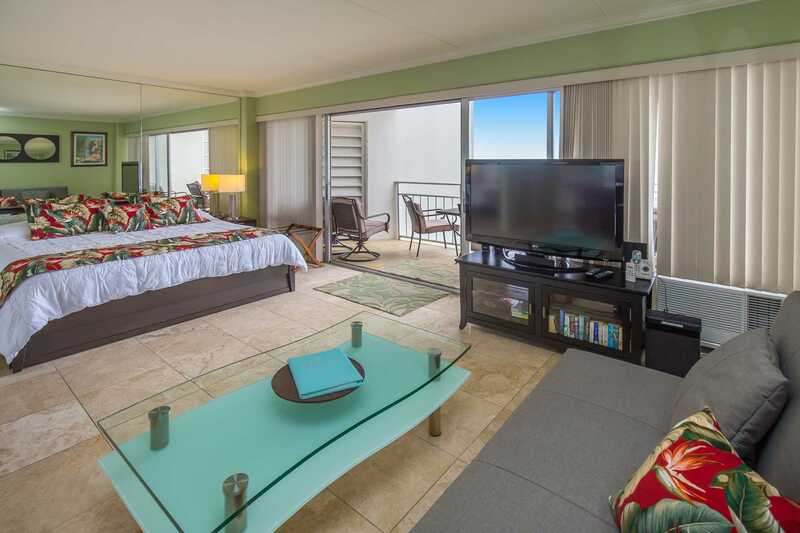 We highly recommend this property and would definitely stay at the Ilikai again. Great condo and loved the keyless entry. Beautiful views of the sunset and loved sitting out on the balcony watching the sun set. A few things could be improved on like more coffee cups (only 3), higher beach chairs, and maybe flushing out the drains (they were a little slow). Even with those being said I would return in a heartbeat. Still loved the location and the unit. We had the drain snaked. We put a new set of coffee cups in. Due to the trade winds we provide the low slung sand chairs. 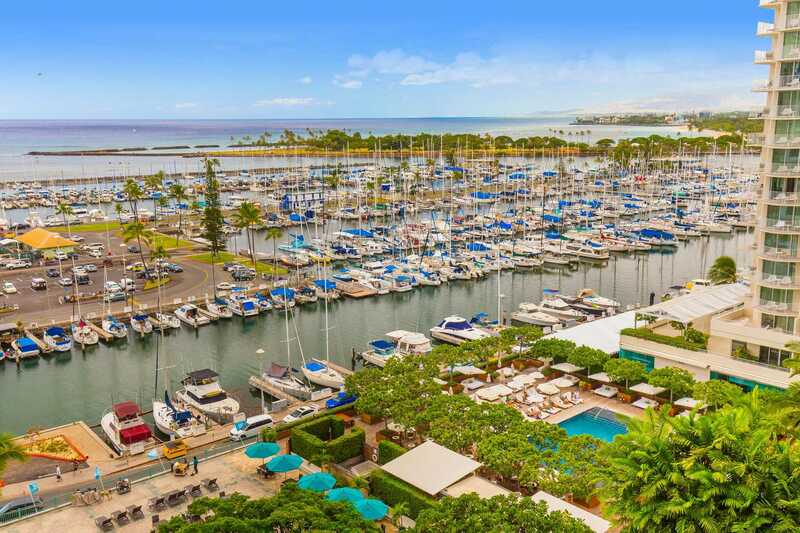 Once again Hawaii Vacation Properties have not let me down... Great condo with fabulous views over the Marina and so quiet... A little oasis in a city of calm. Great kitchen with the latest appliances. Loved the fridge.... Having an ice maker is such a treat in a very warm climate... Had a problem with the shower head on day 1 and called Kat and she had the maintenance guy come over and fix with a new shower head. Came back from the pool and it was all done... Very efficient. The bed was super comfortable... Location of the condo is great as it close to the laundry ... All in all a fantastic time in a beautiful apartment.... Thanks again.... See you soon.. The view off the room and lanai was picture perfect, great sunsets. The room was just as perfect as advertised. Everything I could imagine needing was there for my use. Great stay! Everything was as advertised. We have stayed on Waikiki Beach for several years. We found the property as advertised. Nicely appointed and centrally located. Would definitely stay here again. My daughters and I went to Waikiki for a mother-daughter vacation. We stayed in this suite and absolutely loved it. We appreciated the full kitchen to save on preparing a quick breakfast, snack, or meal. You can really save in Waikiki doing this. Additionally, the location was outstanding! 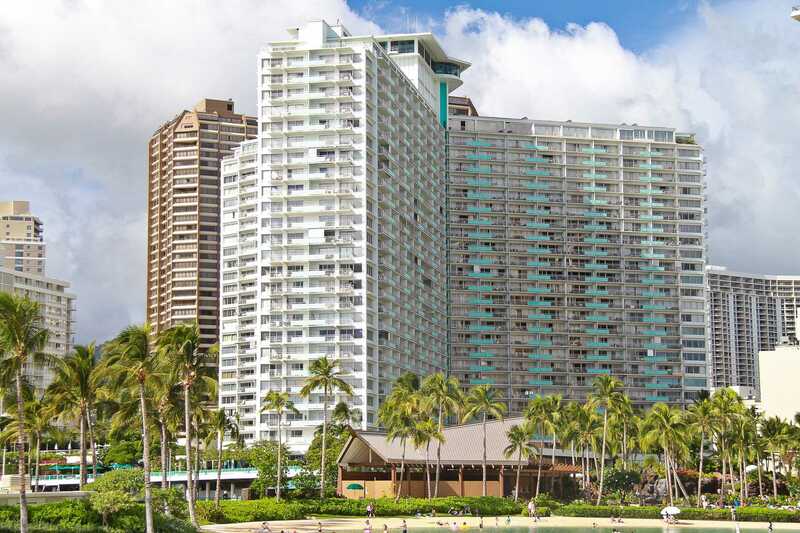 We were close to two great beaches (At Hilton Hawaiian Village & Ala Moana Park) both strategically on both sides of the building. The location allowed walking distance to a great surfing spot and all that Waikiki offers The bus stop out front allowed us not to have to rent a car. We took a bus to Diamond Head and also to the North and West shores. Very cheap way to get around. The bed was comfortable and the suite was beautiful. We loved having coffee outside on the lanai. It was easy to book on line and I felt comfortable working with this company and knew it wasn't a "scam". The keyless check in is effortless. Although there was a local person available, Kat, we didn't haven any issues or requirements to call her. Loved it and would highly recommend. We stayed at the Ilikai for the first time Dec. 2014 - Jan31, 2015. It felt like a home away from home - beautiful lanai with an outstanding view. 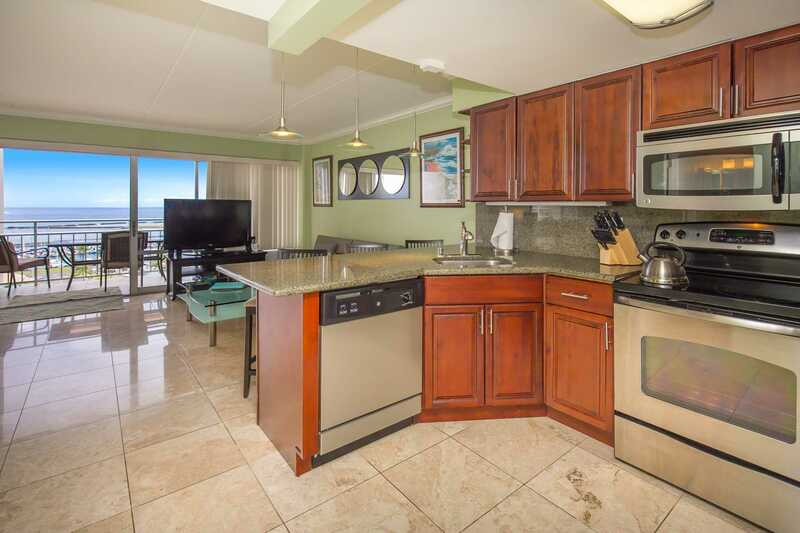 When we ate in we always has our meals made from a fully stocked kitchen on the lanai looking at the Marina ,Pacific Ocean, Whales ,cruise ships, cargo ships, ships from Pearl Harbour and lots of planes. 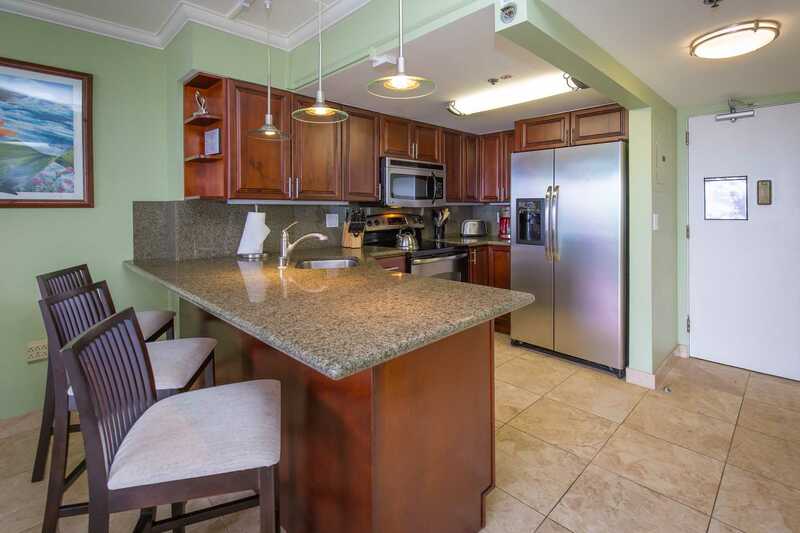 Ilikai is in a good location - close to the Ala Moana Shopping Center, Walmart behind the shopping Center (for grocery shopping, souvenirs, and clothing).The Food Pantry is just a few blocks from the hotel. Fri night the Hawaiian Hilton next door has fireworks. The Ilikai has entertainment every Fri. and Sunday on the outdoor Lanai. Cinnamon's is a nice and convenient restaurant on the property that the locals love, family run and we loved the Mahi Mahi as well as other items on the menu. Bathroom is large with a walk in tiled shower. Large big screen tv in the living room. Plenty of towels and beach towels. beach chairs, cold pac picnic sac. Close to the beach. Laundry room on the same floor. Soap available from a coin operated machine. Washer and dryer $2.50 each. There's a change machine in the lobby by the front desk. 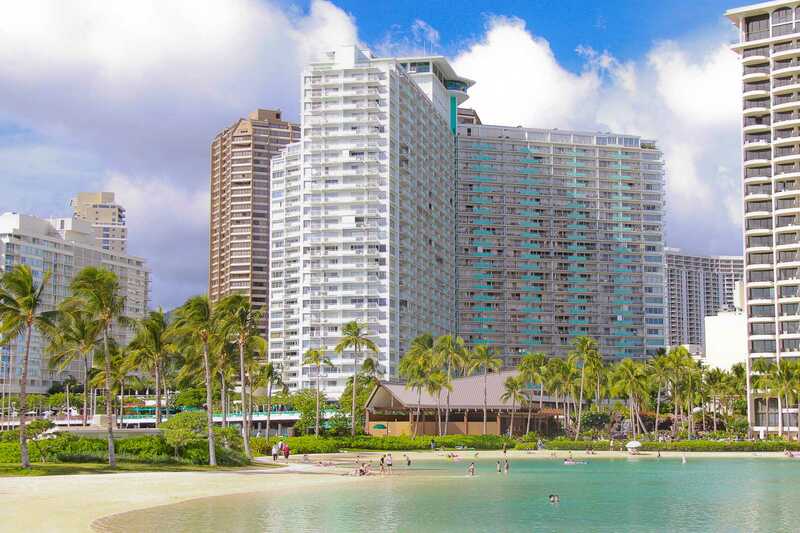 Ala Moana Park is within walking distance and a pleasure to walk around. There is a bus stop in front of the hotel. Farmer's Markets are located in various areas in Waikiki - very fresh produce. 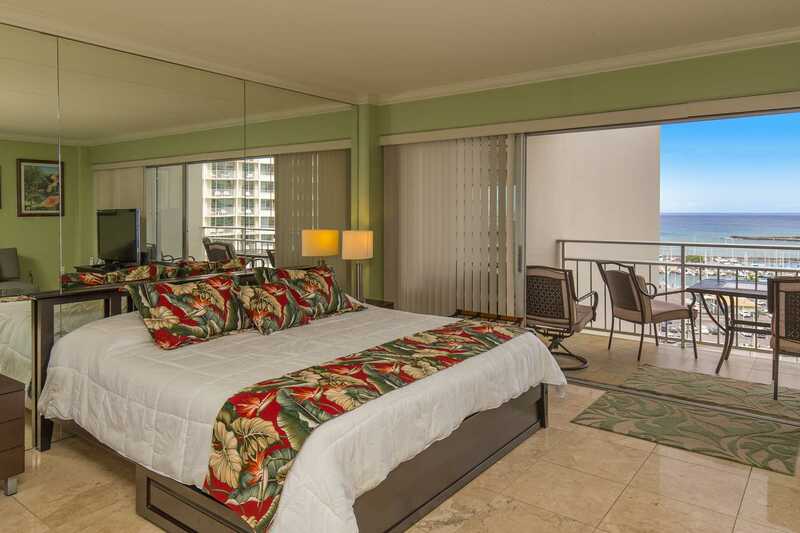 We had a couple of issues that needed attention and the Hawaiian Vacation Properties rep. KAT was extremely efficient and took care of them in a timely manner. She was very pleasant to deal and very available and interested in taking care of our needs. We were so impressed with all of it, we have already booked for next year and are looking forward to our return to paradise. This suite was wonderful! It had an updated kitchen with new appliances and granite counter tops as well as tile floors and a remodeled modeled bathroom with large shower. Overall it had a light and airy feel with a great view of the marina. The location was near many shops and restaurants and it was easy to find cabs to further destinations. Our tour buses picked us up right outside the hotel/suites building. Couldn't ask for more! Thank you ! Fantastic experience from start to finish. Online booking was easy and communication was excellent throughout the process including the clear instructions and keyless check in which after a long haul flight is bliss. photos on the web site which isn't always the way),the bed gwas comfy and everything you could possibly need for a self contained holiday. The added extras like 2 sets of towels,extra toilet paper,salt and pepper and beach chairs etc is a very nice touch. Would highly reccomend this apartment and booking company .10 out of 10 THANKS! 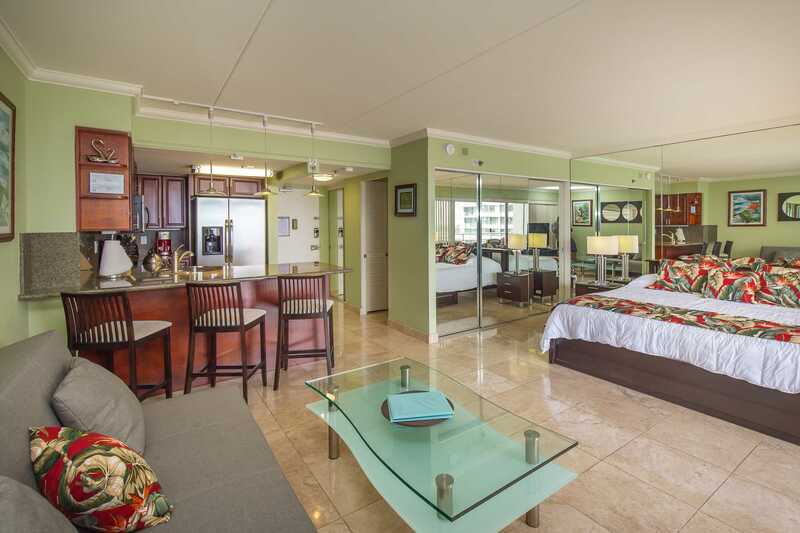 Wonderful condo, would stay here again for sure. Kat did great job helping our wedding party all get wonderful rooms. Thanks so much! Also bar on the patio was outstanding. Great food and service. We had a chance to stay here for 6 days. The ocean view was the best part of the rental property. The place was very modern and clean with everything you would need for a week stay. It was exactly like what we saw in the pictures. I've never written a review for any rental but felt like this was worth the effort. Very happy with this place and would definitely rent again. The price was also reasonable. Thanks for a wonderful stay. If you want quiet then this is a good condo, it had everything we needed to have a lovely holiday. We enjoyed the privacy and it is handy to the beach and lagoon. Can not comment on pool as did not use it. My only negative would be the quality of the sheets which is one of the reasons we like hotels but it was minor. Towels are supplied including beach towels. Arrived early and they stored our luggage until check-in time so we could walk around and enjoy the day. No real check-in needed just headed up to the room and used our passcode to get in. Everything in the room was new and clean. Has everything you need; full kitchen, iron, hair dryer, beach towels, mats, chairs and umbrella. Lots of closet/storage, we really moved in and kept the place looking nice. 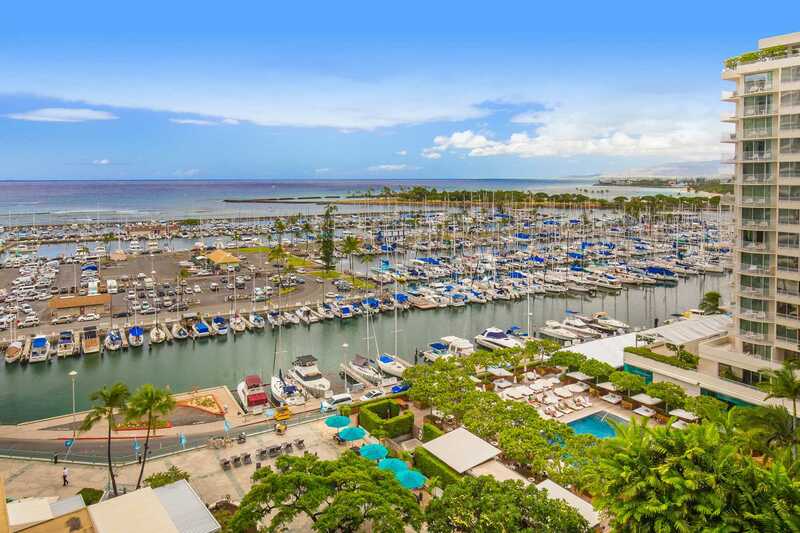 A nice marina view, Ilikai is located at the quieter end of Waikiki. An easy stroll down to the beach. The elevators were fast and the convenience store in the lobby was great. The outdoor bar and grill had good food and was very reasonably priced by Hawaii standards. There is a free Hula show Friday on the terrace followed by the Hilton's fireworks next door. Valet parking was $28.00 per day but they were on the ball and always quick to get our car. Paid extra for a late check-out but very worth it so we could spend the day at the beach and still come back to our room to clean up. A very comfortable, well equiped unit with a terrific view. Unit 1102 was very clean, nice new renovation and had everything we needed. 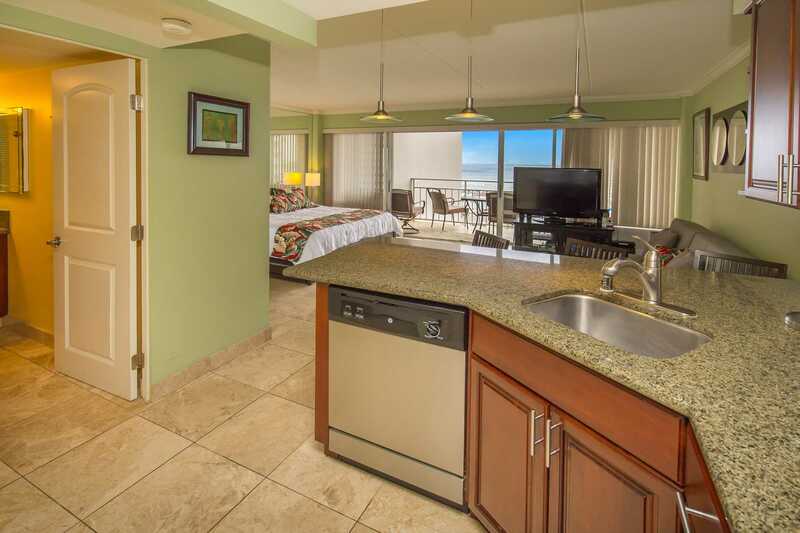 Beach chairs, fully equiped kitchen (all the little things), nice lanai furniture, big tv, queen size pull out and a comfy king bed. 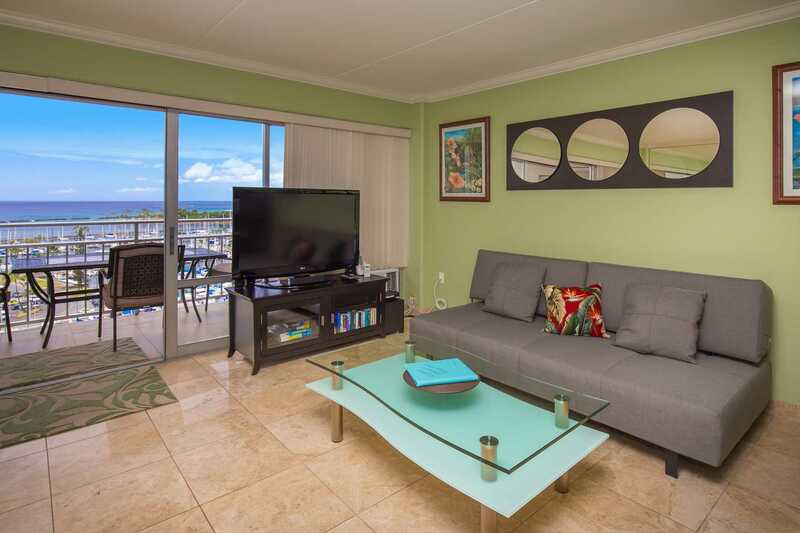 The Ilikai is a great location, very close to the beach, mall and a short walk to the main action if you want it. We will definitely return. My husband and I stayed from June 2 - 7 the first leg of our 3 island visit. 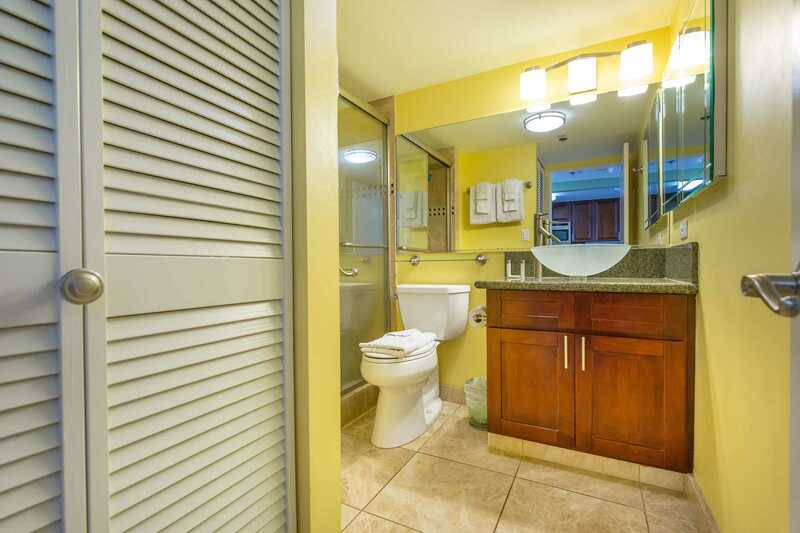 This very clean condo is in a nice hotel, professionally run. Kat dealt with any issues immediately, checked in to see that we got in ok and to see if we had everything we needed. She offered to answer any questions we might have. The room was very modern and clean.. We loved the bed. The best sleep I've had in a long time. Amenities were more than adequate. 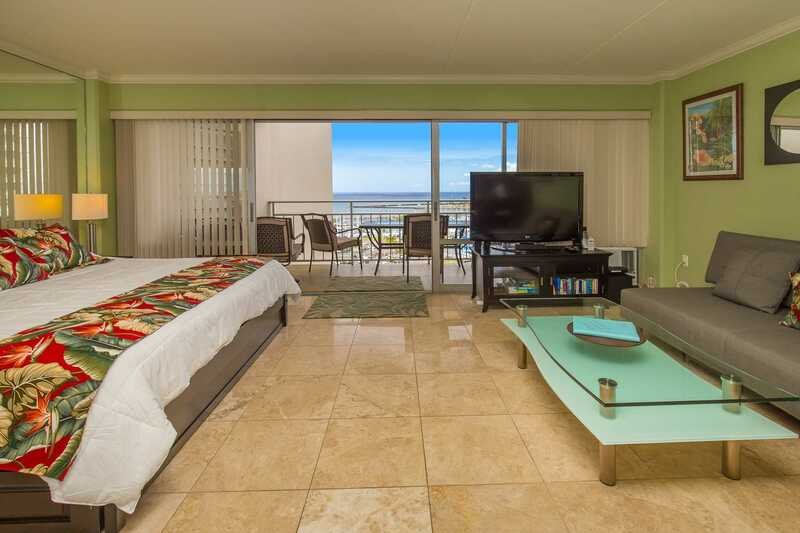 We'd definitely stay here again and would recommend this condo to family and friends. We had a very good stay in 1102. The comfy large king size bed was great and the large wide sofa was perfect for our teenage son. Location in Waikiki was very good too. 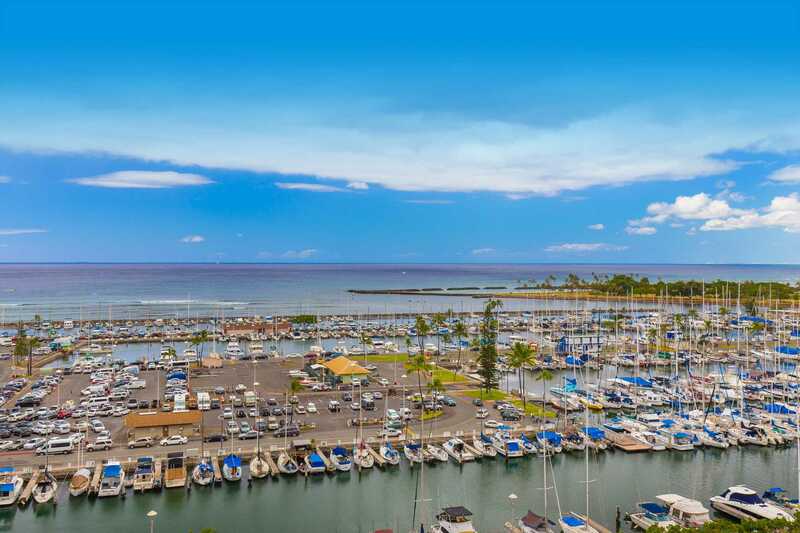 Nice view of the Marina from the balcony/lanai. The breakfast bar and kitchen appliances worked well for us and the bathroom was top notch. It's obvious that this unit had been renovated recently. There is a 50" large screen TV, but we didn't use it much. The only hiccup was the wifi router in the unit which we couldn't connect to with our 2 devices, but we managed to find a very weak public connection. Would definitely stay here again.